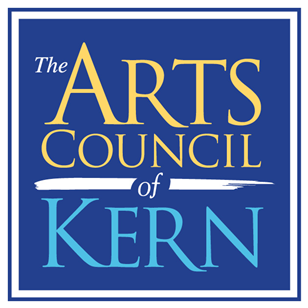 The Arts Council of Kern promotes Kern County Visual artists by curating the Access Center as a display space for their work. This opportunity to exhibit artwork in a public space is designed to promote the artist and build his or her exhibition resume. Kern County artists will in turn further their exhibition history to demonstrate their artistic devotion to their work for future galleries and exhibit spaces. The mission of the Arts Council of Kern is to provide, support, and promote arts access, advocacy, and education for all Kern County residents and visitors. We are a 501(c)(3) nonprofit organization and are the designated local arts agency for Kern County, serving our mission in partnership with the California Arts Council, the County of Kern, and local agencies. ACK continues to enrich the lives of residents and visitors of Kern County with increased partnerships to meet our mission and vision. For more information, questions, possible applicants, please contact the office of the Arts Council of Kern at 661.324.9000, or email us at info@kernarts.org.